Both men and women can be the victim of domestic abuse, including physical, sexual, and emotional abuse, at the hands of their spouse or partner. 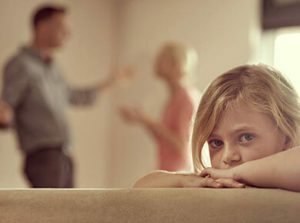 At The Elfant Rickett Law Firm, we know that in cases involving domestic violence, quick action must be taken and we are often able to get our clients into court on an expedited basis in order to seek the emergent orders needed to protect you and your children from continued or future abuse. Over the years, New Jersey domestic violence attorney Rosa Rickett has secured orders in countless cases to protect parents and children from abusive partners and parents, whether this involves seeking a permanent restraining order, requiring them to attend counseling for domestic violence or anger management, to submit to mandatory drug and alcohol testing, to interact with children through supervised visitation, or in some cases, obtaining orders granting no visitation with the children until they are better able to parent in a healthy way. When you are dealing with a domestic violence issue, it is absolutely imperative to have a knowledgable advocate protecting your interests. At The Elfant Rickett Law Firm, you will find a New Jersey domestic violence lawyer with extensive experience handling all aspects of domestic violence cases, ranging from restraining order hearings to DCPP matters and child custody proceedings. To discuss your specific domestic abuse or restraining order matter and learn about how we can help you, contact our offices in Hackensack today at 201.968.5700 to schedule a consultation. Domestic abuse issues are highly complex and it is essential to understand all of your rights and legal options. Rosa Rickett is a New Jersey domestic abuse attorney who will provide you with support throughout the legal process, answer all of your questions, and vigorously protect you. Contact our offices in Hackensack today to discuss your specific case and empower yourself with the information you need. We assist clients with spousal abuse, child abuse, and other domestic abuse matters throughout New Jersey, including in Bergen County, Essex County, Hudson County, and Passaic County.